Frank R. Lin, MD, PhD is the director of the Cochlear Center for Hearing and Public Health and a professor of otolaryngology, medicine, mental health, and epidemiology at Johns Hopkins. Lin completed his medical education, residency in Otolaryngology and PhD at Johns Hopkins. He completed further otologic fellowship training in Switzerland. Lin's clinical practice is dedicated to otology and the medical and surgical management of hearing loss. 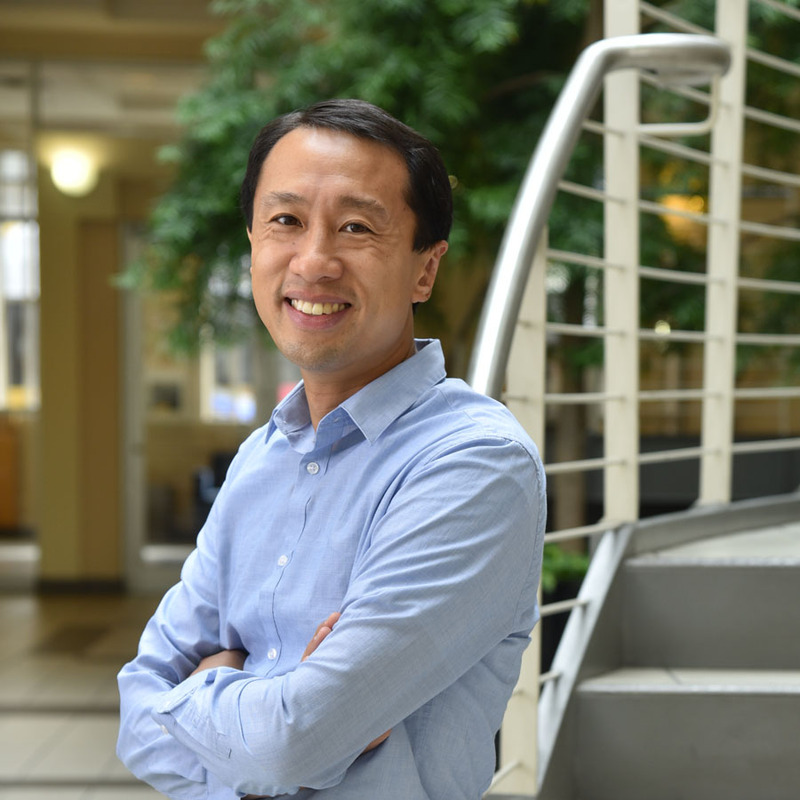 His work at the Bloomberg School of Public Health is focused on understanding how hearing loss affects the health and functioning of older adults and implementing the local, national, and global strategies and policies needed to mitigate these effects. From 2014-2016, Lin led initiatives with the National Academies of Science, Engineering, and Medicine (workshop, consensus study), the White House President’s Council of Advisors on Science and Technology (PCAST), and Congress that resulted in passage of the Over-the-Counter Hearing Aid Act of 2017 which overturned 40 years of established regulatory precedent in the U.S. This federal law reflects the direct result of his prior research and broader policy work around hearing loss and public health. He currently serves as a member of the Board on Health Sciences Policy at the National Academies. As the director of the Cochlear Center, he oversees over $30 million in committed NIH and philanthropic funding dedicated to advancing the mission areas of the Center.